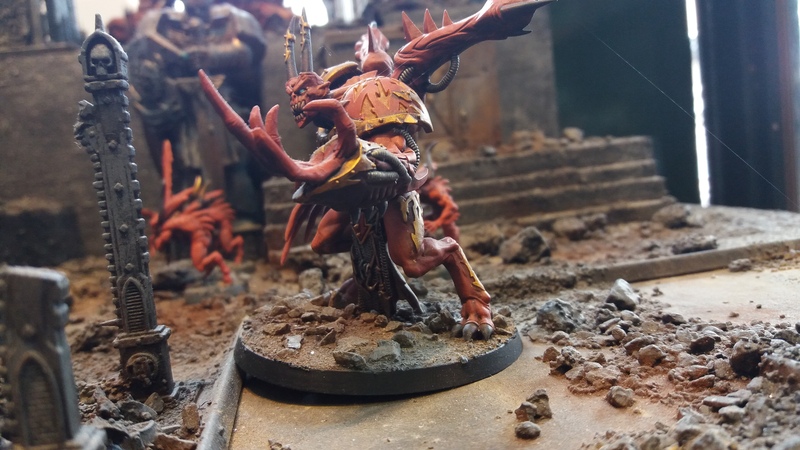 Recently I’ve had the very fortunate opportunity to do quite a bit of travelling and, of course, I take the chance to indulge in hobby whenever I am able. 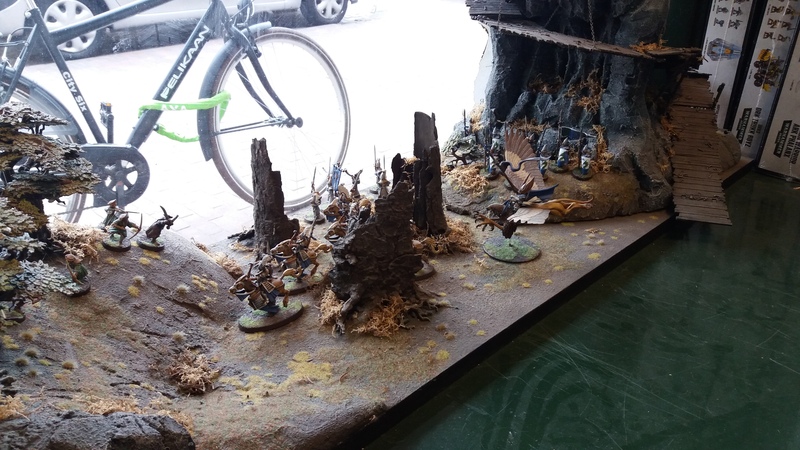 I was in New York City last month and this time I managed to wander into the Games Workshop in Rozengracht within Amsterdam. The Netherlands is a beautiful country and I wanted to see if their hobby game was as strong as I’ve seen in the UK and the US. I can tell you this, the Dutch are seemingly not shy of showcasing some incredible skills when it comes to miniatures! I was able to peruse some of the displays and they were all very wonderfully painted. Some of the conversions I saw were absolutely astonishing! Find yourself some wonderful imagery below. 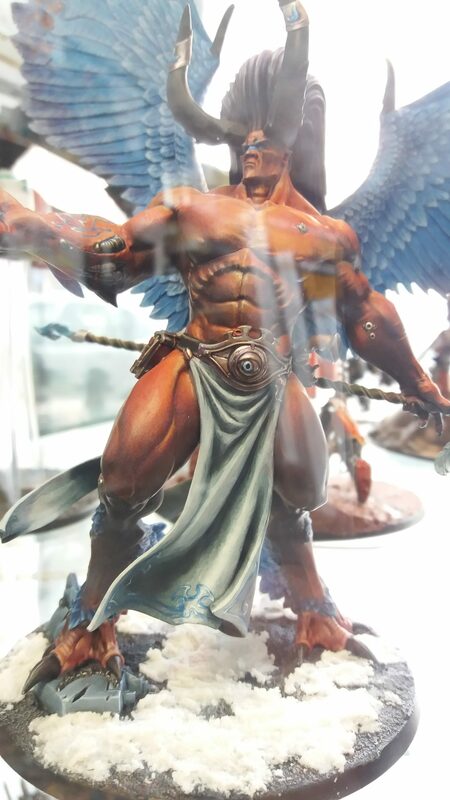 Magnus the Red, clearly not skipping any gym days. 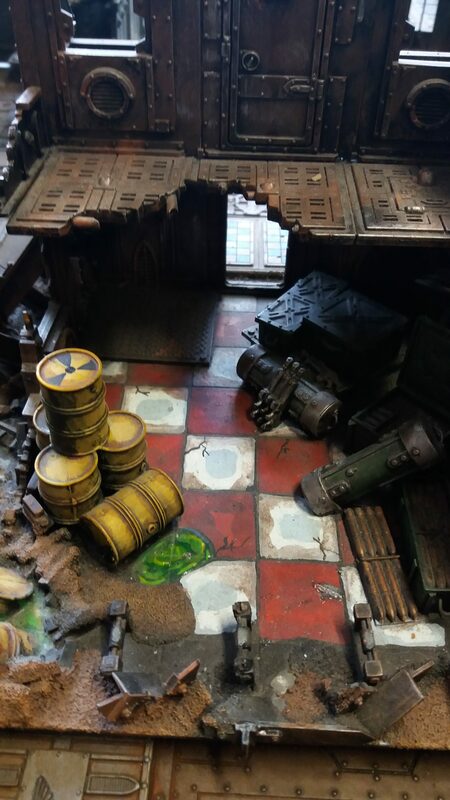 Showcasing the start miniatures with scenery really helps remind me how fun it was to get into the hobby. 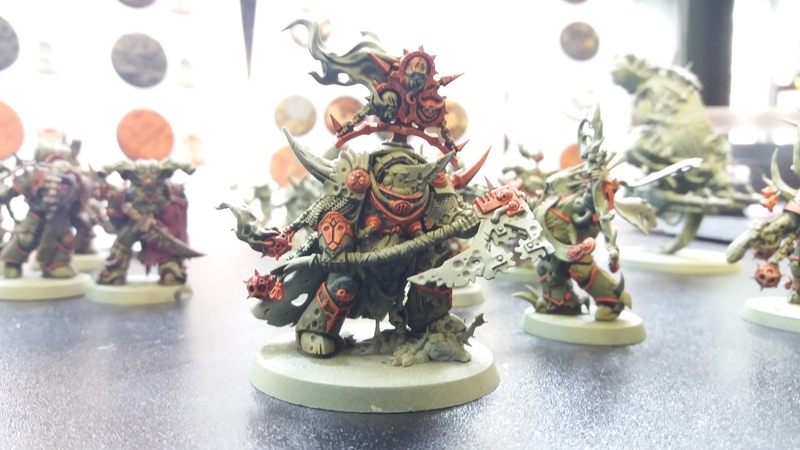 The Dark Vengeance Box models are still lovely to behold. 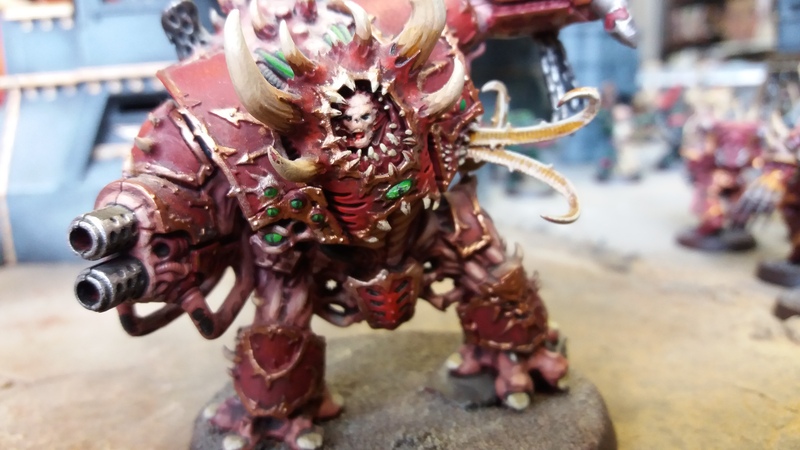 I do still like the Helbrutes. Great paint jobs only help to reinforce how much better I feel they look compared to the old Chaos dreadnoughts! The scenery alone was easy on the eyes, especially with some toxic waste. 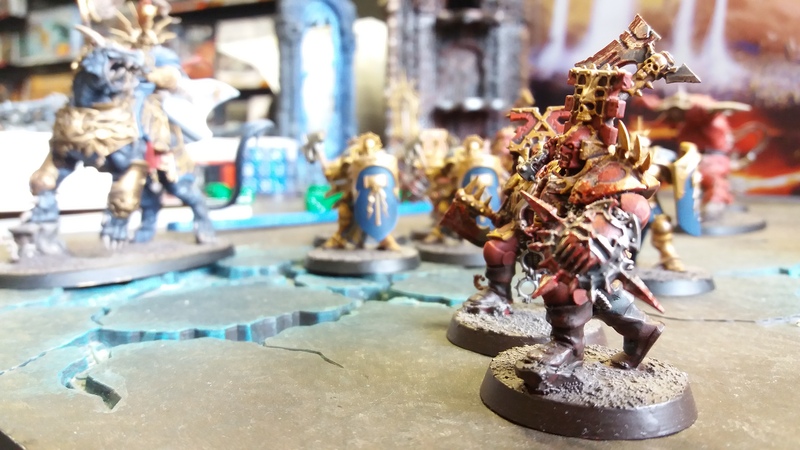 With all the 40K news recently, let’s not forget that Sigmar is still a solid game with some fantastic models. 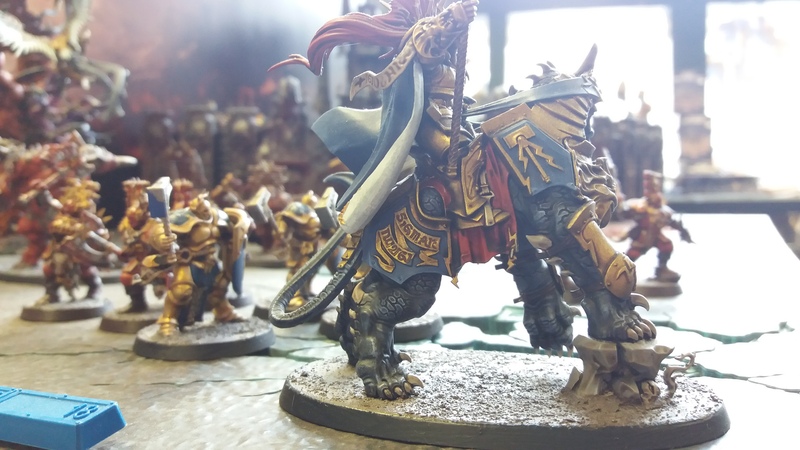 Stormcast Eternals getting ready to cleanse the realms of all taint. The Sigmar section had some wonderful work done in making it more cinematic than many I have seen. The window display was a little smaller than some others but was still exciting. 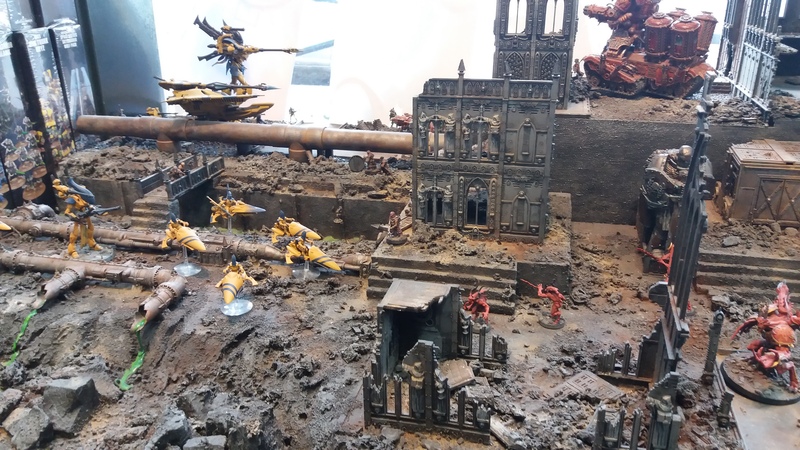 More window display wonder here with a flurry of Eldar charging into battle. 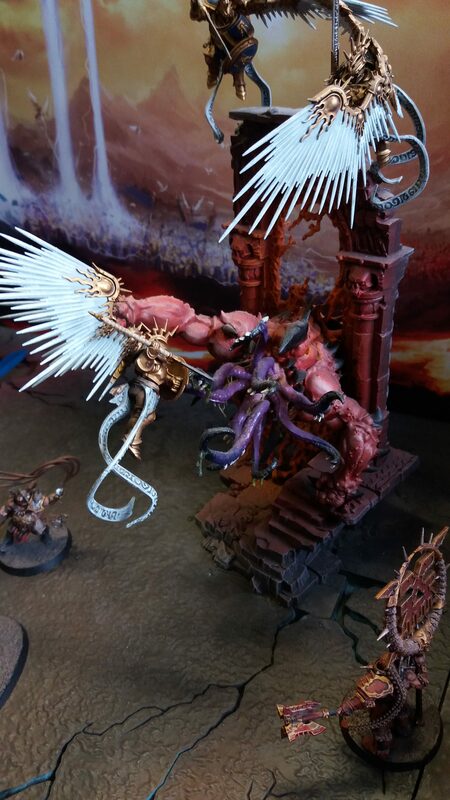 Anyone else hoping for a new Daemon Prince model? No? Just me? 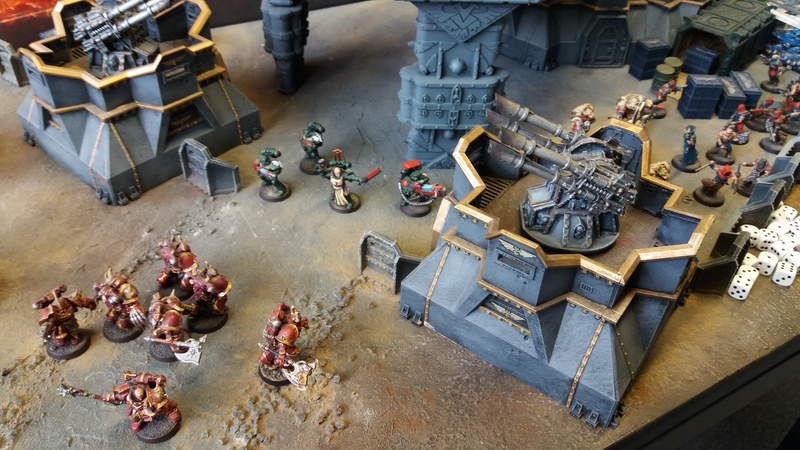 Sadly, the new Dark Imperium models weren’t quite finished but it was great to see them in-person! Easily the most impressive feature. 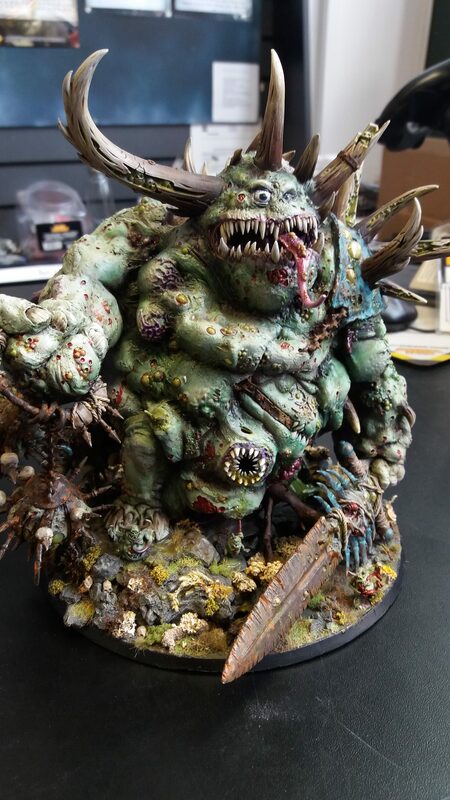 This converted Glottkin turned Great Unclean One was astounding! 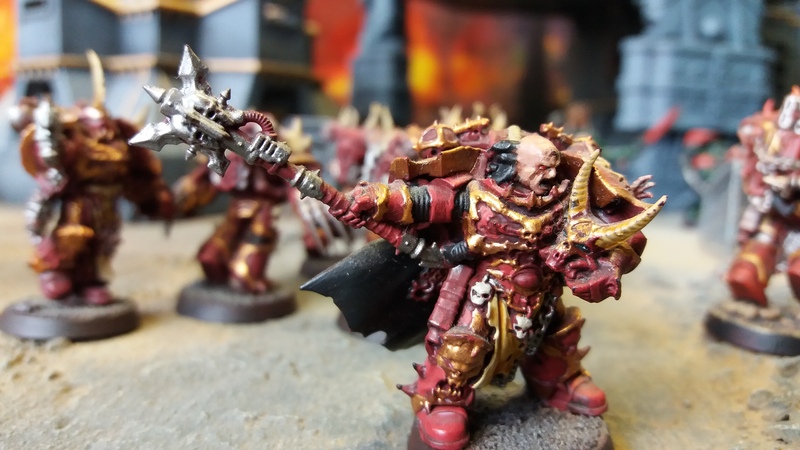 If you have any images of your local store’s models then please feel free to share them in the comments! Is there a particular store or stockist you’d like to give a shout out for their wonderful displays and models? Let us know in the comments. Be sure to stick with us via Facebook and if you like what you see then please lend your support to us via Patreon.